Just as there are many different types of medical specialists, there are many different modalities of massage. Each modality has its own set of benefits. 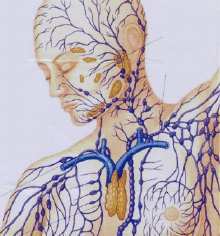 The modality I am discussing today is Manual Lymphatic Massage. The lymph system is basically the body’s waste removal system. In the interstitial, the space between cells and tissues, there is waste material such as discarded white blood cells and unused plasma mixed proteins, bacteria, and debris from cell metabolism. Your body has natural lymph flows the muscles move beneath the skin but lymph can still build up and cause illness and disease. Lymphatic massage is a very slow technique using light pressure to gently move the skin. Because of this it greatly stimulates lymph flow this removing harmful waste quicker. This modality helps expedite the healing process post injury or post surgery such as breast augmentation, liposuction, tummy tucks, as well as any other surgery you may have to endure by removing cellular debris and allowing for more cell regeneration. It can also help with swelling caused by water retention or lymphadema as well as common issues such as acne and allergies. If you are looking for detoxification, lymphatic massage is the way to go. As one of the most relaxing modalities, lymphatic massage is an excellent choice to help with insomnia and fibromyalgia. Even if you aren’t experiencing any of these issues, lymphatic massage is a great idea for preventative maintenance because it boosts the immune system. So next time you are looking to get a massage, you should consider a lymphatic massage.